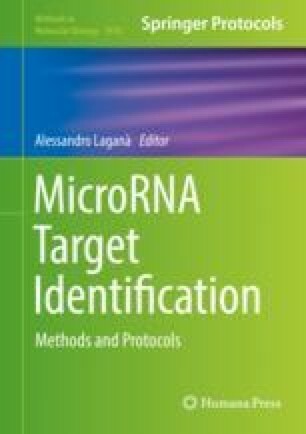 MicroRNA (miRNA) studies deliver numerous types of information including miRNA identification, sequence of miRNAs, target prediction, roles in diseases, and interactions in signaling pathways. Considering the different types of miRNA data, the number of miRNA databases has been increasing quickly. While resources have been planned to simplify miRNA analysis, scientists are facing the challenging task of choosing the most proper tool to retrieve related information. In this chapter, we introduce the use of miRandb, a resource that we have established to present an outline of different types of miRNA online resources and to simplify finding the right miRNA information that scientists need for their research. miRandb offers a user-friendly platform to find related information about any miRNA data among more than 188 present miRNA databases. miRandb has an easy procedure, and information can be retrieved by miRNA category resources. Each database comprises numerous kinds of information including database activity, description, main and unique features, organism, URL, publication, category, published year, citations per year, last update, and relative popularity. miRandb provides several opportunities and facilitates access to diverse classes of microRNA resources. miRandb is available at http://miRandb.ir. This research is supported by Mashhad University of Medical Sciences (No. 941245, 950909).